It is kind of a bit late for this time of the year to play a game where everything is frozen and cold. 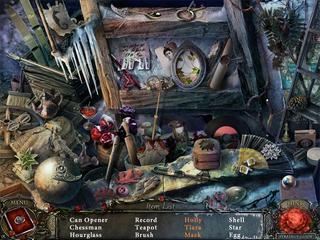 But whether it is spring or winter, it is always a good time for a hidden object puzzle adventure game with a mysterious story to reveal. This time it is Living Legends - Ice Rose. The amount of the hidden object levels is very balanced in this game. You play as a novelist who is looking for a great story for another novel. He thinks that he has found something interesting enough, but he needs to investigate that. It is a story of a terrible tragedy in the city of Rosemount. Gethering information means that you need to find out all the details of the tragedy. 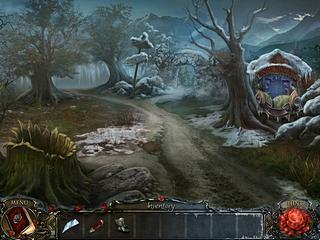 The game features three difficulty modes: casual, advanced, expert. The graphics of the game together with the music create this perfect intriguing atmosphere. There is no voice over, but you don't have to do a lot of reading either. The amount of the hidden object levels is very balanced in this game. There is a penalty for random clicking, and the hint will recharge in about a minute. The scenes are crisp and the words lists have some interactive rasks for you. The puzzles is another great part of this game. Some of them are very familiar, while others are more innovative. Some of them are more challenging than the other ones too, while the whole game is not very difficult to play. All in all the game has a great production value and will please many fans of the genre. This is Living Legends - Ice Rose review. Download this game here.